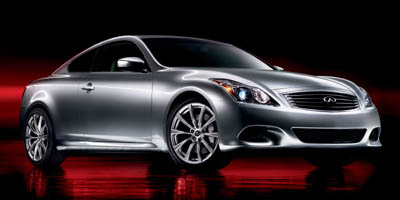 Now fully entrenched in the battlefield otherwise known as the luxury coupe segment, the Infiniti G37 is focusing on small, subtle improvements to keep itself ahead of the competition. The changes aren’t as drastic as they were a few years back when Infiniti crammed a heavy-hitting 3.7-liter engine into the car’s engine bay, or even as significant as last year’s addition of all-wheel drive to the coupe platform, but when an elegant tapestry is this close to perfection there’s no sense going all Picasso for no apparent reason. As such the improvements are mostly limited to changes in trim packaging, while the most notable addition comes in the form of a new – if not relatively familiar looking –Hard Drive Navigation System. With similar, if not superior power and intriguing options such as Four-Wheel Active Steering, the G37 represents not only one of the segment’s best bargains, but perhaps one of its most entertaining cars as well. 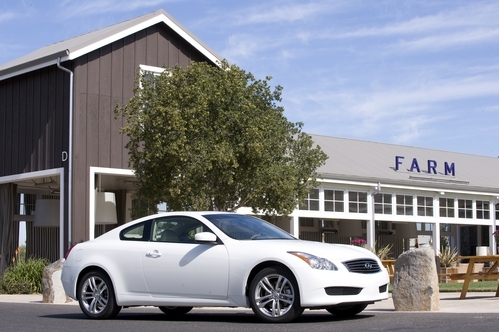 A powerful engine and a solid chassis make the G37 Coupe an engaging drive. A good selection of standard equipment should help keep prices near the base MSRP, as very few high-priced options are available aside from the Premium Package, which tacks on a ton of goodies (more on that later). The Infiniti Controller interactive media system doesn’t come across as intuitive and can be rather cumbersome, especially considering most of the functions can be accomplished in multiple ways. Navigation does not come standard, though the seven-inch color display does. 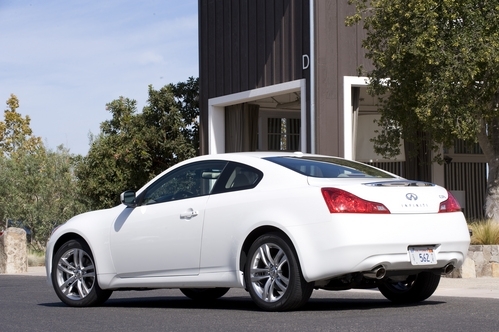 The more you drive the G37 Coupe, the more its big V-6 power constantly teases you to mash the throttle. Sudden acceleration is available in any gear thanks to the 3.7-liter, 330 horsepower slug wedged underneath the hood, which delivers surprisingly linear power as the revs climb. Mated to a seven-speed automatic transmission, the G37 is able to manage the sprint from 0-60 in under six seconds and execute pitch-perfect downshifts thanks to its rev-matching technology. Infiniti Vehicle Dynamic Control (VDC) is on hand to correct any overcommitted mistakes, but disengaging the system won’t send you careening off the road, such is the resolve of the all-wheel drive. In fact, you would be hard-pressed to tell if the system was even deactivated. The suspension is softer than that of the G37 Sport, but still has a firm feel to it, resulting in direct steering that never comes across jerky over rough surfaces. Still one of the best powerplants in the entire automotive industry, the G37’s V-6 engine has a delightfully tinny exhaust note unlike any other. The 3.7-liter V-6 puts down 330 hp and 270 lb-ft of torque to all four wheels via either a seven-speed automatic or six-speed manual transmission. Heated seats come standard – after all, if you require all-wheel drive versatility, chances are you spend a fair amount of time in the cold. The Premium Package comes in at a pricey-sounding $3K, but for that price you get everything from a power moonroof to an 11-speaker audio system, iPod interface, power lumbar support, driver’s seat memory system and Bluetooth hands-free calling. The Infiniti Controller system, which comes standard on the G37, uses a dash-mounted scroll and directional button interface to control the car’s stereo and navigation systems via a seven-inch color display mounted above the instrument panel. The radio is controlled via both the standard controls on the dash and multi-function display. The G37 might put out V-8 rivaling power, but gas mileage remains within the six-cylinder realm, especially at cruising speeds. You can expect to see 18 mpg city, 25 mpg highway, which isn’t too much of a penalty considering the added heft of the all-wheel drive system. 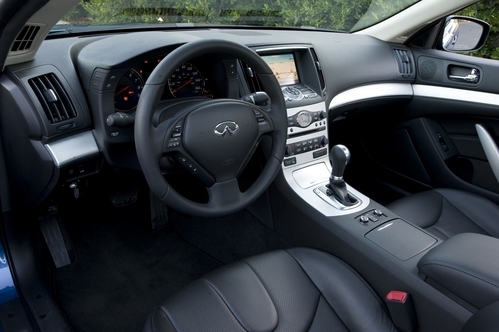 The G37’s cockpit feels more comfortable and accommodating than it does opulent and is framed around a simple center console topped by the display screen. The bright, multi-colored gauge cluster is a pleasure to look at and pairs well with the blue hue surrounding other interior controls. The seats are comfortable, yet properly bolstered for performance driving. An overall theme of restrained aggression graces the exterior of the G37, from the two large, squinty air intakes and slightly louvered hood, to the small spoiler topping the clean-cut rear end. Side on, the car’s performance inclinations are hinted at with Sport Package 19-inch rims, which wrap themselves around confident-looking brake discs. 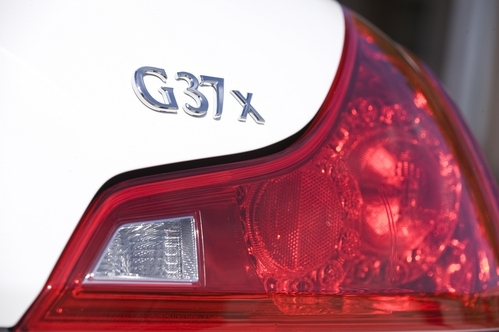 At $38,700, the G37x represents the priciest of the G Coupe variants (we’re not counting the convertible in that group). Options are few and most should be able to spec out a car for under $45K. Competitors include the Audi A5 2.0T Quattro ($36,000), BMW 328xi Coupe ($38,400), Mercedes-Benz E350 Coupe ($48,100) and upcoming Cadillac CTS Coupe. The G37 continues to be one of our favorite coupes on the market and the addition of all-wheel drive versatility just makes it that much more flexible. It’s stylish, sleek, fast and, in a weird way, a bit utilitarian. Which is fine by us.